«The purest love» illustrated quotation. Mother’s love, free quote pictures for Facebook, Twitter, LinkedIn, Reddit, Pinterest and other social networks. 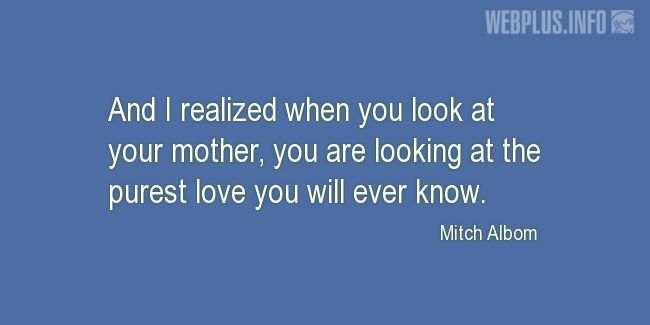 And I realized when you look at your mother, you are looking at the purest love you will ever know.